New Delhi : The Special Judge for CBI cases, Tis Hazari Court, Delhi convicted S.M. Mitra, then Manager, United Bank of India, Delhi for offences of criminal conspiracy, forgery and criminal misconduct and sentenced him to two years rigorous imprisonment with fine of Rs. 25,000/-. In a case of causing financial loss to the bank, as well as criminal misconduct within the rules of the public sector organization, the then Manager was slapped the fine along with jail sentence. CBI (Central Bureau of Investigation) had registered a case in April 1995, against the accused S.M. Mitra, on grounds of conspiring a forgery with the help of few other accomplices from within the organization. Being the main conspirator, it was alleged that the accused had hatched a conspiracy to cheat United Bank of India, IC Hotel Branch, New Delhi and forged a fake telegraphic message purported to be issued by United Bank of India New Market Branch, Kolkata in lieu of payment of a huge sum equal to Rs.16,09,100/- to a non-existent firm – M/s. Northern Investment and Leasing Company. The bank had issued pay order for the said amount in favour of the forged entity. Soon, the amount was withdrawn and misappropriated by the accused person. 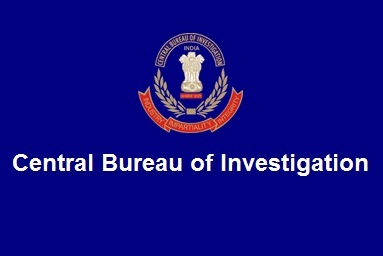 CBI began investigation and took time to arrive at the nabbing of accused. Upon confirmed evidences, a chargesheet was filed in the Designated Court. The Trial Court found the accused guilty and convicted him.